We all judge books by their covers but within this selection what appealed on the exterior is just a glimpse of the visual feast inside. It’s really refreshing to see children’s information books being presented in this illustrative way. This selection is beautiful yet filled with fun and fascinating information. They are all available in Leeds Libraries and you can reserve them into your nearest branch for free. The imagery in this book is just gorgeous; it has a simple geometric feel but is so rich in colour. This book takes you on a journey to the farthest corners of the northern hemisphere and explores the fantastic creatures that live there. Braun’s illustrations make the animals pop out of every page, its perfect for the young naturalist out there. This book is filled with tiny clever sketches which make the facts and figures so easy to visualise. I love the maps as you voyage along your Journey to the Antarctica. Grill has a really fun and uncomplicated style which is very appealing and brings this fascinating and brave story alive. The detail Morris gets using water colour is incredible, the bears just come to life on every page. This book is a bit of a hybrid between a story and an information book, which makes it really accessible for younger children especially when they are being read to. The information is delivered through beautiful wording and even has a little twist at the end. I wonder which your favourite bear will be? Davey’s style is so unique; it has a lovely vintage feel and the colours really stand out. This book is filled with fun facts that are backed up by his minimalist yet lavish illustrations. If you love this there is another book call ‘Mad About Monkeys’ which is just as good! This book is part of a new series of children’s biographies ‘Little People, Big Dreams’ telling the stories of remarkable women in history. Each book is illustrated by a different artist and everyone is wonderful. They are the perfect introduction and the pictures on each page are delightful. If you love this one check out ‘Coco Chanel’, it’s fabulous! For any family that loves natural history this book is just fantastic; it’s a trip around a 24/7 museum with immaculate exhibits of the world’s finest and most extraordinary creatures. The illustrations are stunning and it’s packed with absorbing facts. I love the larger than average format of this book and can just imagine a family huddled together on the floor flicking through the pages. Blog by Rachel, Children’s Librarian based at Central Library. The summer holidays are here! Time for kicking back and relaxing. Or, if you are a parent of children of a certain age, a six week quest to keep them occupied. Here in Leeds Libraries we have just bought a whole load of new children’s non fiction books that should be arriving in your local library any time now and we have a range that should be of interest, whatever your child is in to. If the right book doesn’t make it to your library, then you can reserve it for free to bring it to you. My daughter could, from an early age, create anything she wanted provided that we had sellotape and paper. Sometimes you need to harness those creatives and this selection of books should do just that. Your child will learn how to sew in no time with this book. From threading needles and sewing a running stitch to following patterns, ‘Let’s Sew’ teaches your child how to create their very own collection of eye-catching toys and accessories, including a decorated book bag, felt elephants, and jungle-themed pen toppers. This series is aimed at kids who love to be creative. By following the clear and simple step-by-step instructions, they will be able to create fashionable, original, cute, and humerous creations. Jacqueline Wilson’s world of characters has been brought to life brilliantly with Nick Sharratt’s illustrations. Now your budding artist can learn how to draw them themselves. This text is for aspiring artists. The book is packed full of step-by-step projects for crafty kids eager to discover the secrets to creating a masterpiece. Is your child the kind that likes to take things to bits as well as putting them together because they want to see how it works? These books are for them. Planets, asteroids, space travel and exploration are just some of the incredible topics you will learn about in this book. Discover what they are, what we know about them and how scientists intend to find out more about them. This exciting lift-the-flap novelty book is packed with simple science experiments for kids to try at home. Each page will see keen young scientists try their hands at anything from building bridges to making food explode and mixing up meringues – all in the name of science! Every experiment is accompanied by a simple explanation of the science involved, making it hands-on educational fun. How many bones are in your body? Which bone protects your brain? What are bones made of? Find the answers to these questions and much, much more in this picture-packed introduction to the human body. A stunning visual encyclopedia for kids, packed with stunning photography and amazing facts on every aspect of ocean life. From the Arctic to the Caribbean, tiny plankton to giant whales, sandy beaches to the deepest depths, our oceans are brought to life with astonishing images. Makes those hours in front of a screen mean something. Let them make the game, not just play it! This looks at the basics of programming – what is an algorithm, basic languages and building a simple program. We then look at how simple programs can be developed to include decision making and repeat activities, and then how they can be fixed using debugging techniques. Throughout the book there are practical activities to assist learning, and links to online activities where they can practice newly learned skills. By breaking this daunting subject down into the 10 ‘super skills’ needed, young readers can to get to grips with computer coding, and build on their skills as they progress through the book. Go on a real-life maths journey to practice the core topics of numbers, geometry, statistics, ratio and proportion, algebra and measurement. Through data visualisation methods, including colourful diagrams, pictograms, illustrations, photographs and infographics, ‘Go Figure!’ brings maths into the real world in an innovative, exciting and engaging visual way. It makes even the trickiest problem easier to understand and builds valuable confidence in maths! This list come from Rachel, our children’s librarian based at Central Library. This Julia Donaldson and Axel Scheffler combo is definitely underrated compared to the ever popular Gruffalo books, having said that it is by far one of my favourites. 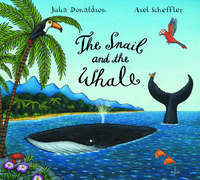 The words and story flow beautifully in a relaxing way as you go on an adventure discovering the marvels of the planet. This story depicts friendship, being caring and helpful as well as bravery to dream big and experience the world. It is a window to lovely dreams. The illustrations in this book are just gorgeously scruffy. It takes you on Louie’s journey to get his smell back after his owners have given him a bath and shampooed him in roses and apple blossom scent. It’s a lovely fun story to fall between bathtime and bedtime. I absolutely adore the pastel illustrations of this book as they flash and shimmer with shards of gold. The story breezes through lots of different ways that love is presented. One of my favourite sentences from the book is “Sometimes love is quiet and it needs no words at all”. 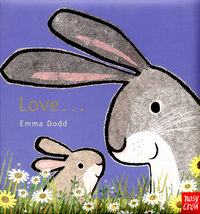 The text is beautiful and perfect for snuggling up at bedtime. 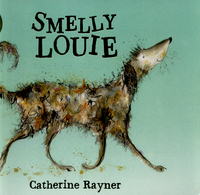 Emily Gravett is one of my favourite illustrators; I think her style is amazing! 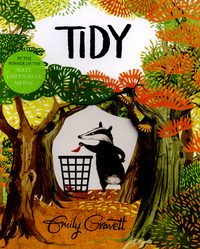 Tidy is a fab and funny story about a badger that has to keep tidying up the forest. I really like how the story goes into autumn; the leaves start falling and the colours are all gorgeous browns and oranges. We always play a quiet little game where we point to the animals that are hidden all over the pages in the forest. 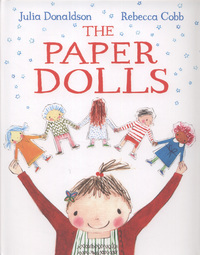 This book is great to cuddle up with and it really engages the attention of my daughter. I particularly like that the words get you to act out the sound effects throughout the story, which makes it really easy to read in a fun way. It’s also all about being tired and I often find myself yawning along with Mr Bear whilst reading it in dimmed light. That’s OK though, because they won’t know it’s not part of the story. 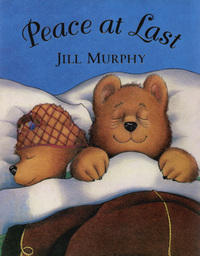 Peace at Last is a well-loved classic by many and never really seems to date. 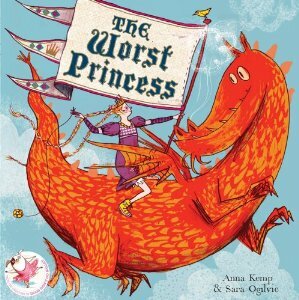 This book appeals to me greatly and hopefully my daughter will grow to enjoy the spirit of the character. I really like this alternative take on the ‘traditional princess’, the text is funny and bounces along really well. It’s an excellent message to go to sleep with for a strong growing girl in a modern world. 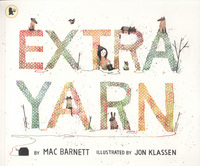 Mac Barnett and Jon Klassen are a really interesting and unique author/illustrator combination. This story is just lovely where the girl warms and brightens up the dull and cold little town by knitting jumpers for everyone including the animals. It’s a gentle magical tale where good prevails and includes an odd yarn bomb here and there. Brilliant! 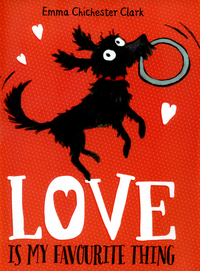 I adore this story; it’s told through the eyes of a very enthusiastic little dog called Plum and all the things she loves to do. The story is so gushing and fun to read and the illustrations are cute too. It reminds me of our dogs and the things they get up to which they know are naughty but just can’t but help doing anyway. This is a really great book to snuggle up and read at the end of the day. I love this book and we’ve even made up our own tune to sing the little song that repeats throughout this story. It puts into words so well that sometimes things can be gone but will always stay in your memory and heart. Discovering some of the things that are in the little girl’s memory is just lovely and the ending is so touching. In true Julia Donaldson style the words flow in such a beautiful and relaxing way as you read this book and the calming illustrations and plain background make for a great bedtime read. It’s wonderful to sit and imagine that you can catch a star. 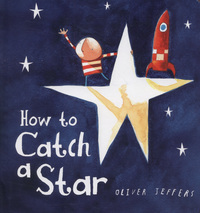 The little boy in the story is so patient as he waits for his moment, and when the opportunity comes to catch his very own star he grasps it. What a lovely underlying message! This is a story to encourage gazing up at the night sky and it finds a fun way to relate to the stars that twinkle up there.